I've been meaning to do a series on M.O.A.T.s-the most overlooked LPs and artists of all time. Not talking about ‘oh Black Moon is so underrated' or ‘oh Biz Markie is actually a very accomplished lyricist by Keatsian standards' but cats who are incredibly talented and so under the radar they're like those cyborg housefly Predator drones the C.I.A. wants to fly up Ahmadinejad's nose. At the top of the M.O.A.T. list was Autolect: the greatest MC/producer you never heard of. So I felt mighty blessed when Autolect himself reached out to me. I'm amped to be the DJ Whoo Kid of the underground, but for reals there aren't many others I'd be this lucky to hook a mix up for. For one thing, not many have a catalog this deep-everytime people get wood over a new Jay Constipatica song I'm all baffled, because Autolect's been doing that since 2004 and has about literally 15 times as much material. I've been feeling Autolect's stuff for about three years, and between Every Mans Universe and Between God And The Deep Blue I was no doubt finna collect every last track. This meant some Mickey Spillane isht to hunt him down under his different monikers-AHMM (Autolect & His Meltdown Movement), BSML77, Hasan and even that one record where he called himself Velox Nur (after his favorite housepaint and/or alien reptilian overlord). The namechanges are a reason why you maybe haven't caught on to his genius yet. But in the mains it's because he's a true iconoclast. I don't do the whole bio-blazhay-he's-from-he's-influenced-by-blahzay; it don't really tell you nothing about the work, and the work speaks for itself. You want a logline? OK, imagine Butterfly or Jay Elecetcetera over Marcberg beats. If you like DDay One, Shabazz Palaces, Saul Williams (pre-rock star), Flying Lotus or RZA's Ghost Dog score, you are feeling Autolect. The flow. Autolect doesn't really rap. He's not singing, he's not talking. I don't know what to call it. You just gotta listen. It's serious business. It has some Digable Planets flavor with a dash of Mos Def. It's spiritual in the real sense, not the patchouli-smelling PM Dawn sense. It's intelligent and conscious without being didactic or preaching. The production. Dusty. Intricate loops and samples. It shimmers, not on some fairydust isht but like rain on concrete. Like neon through a tumbler of scotch on the rocks. Hard jazz, deep funk sounds, but taken so far and so deep from the source as to be absorbed and transformed. From some alternate reality where Dolphy and Mingus invented the MPC and jazz never ended, kept on going. Or some time traveler went back with a sampler and crafted some parachronistic Dendera light grooves, Bebop On The Edge of Forever. So Autolect is being retired, as the man moves on to a new era of music under Bil Basmala. As per usual, he's got a huge slew of material lined up which is bound to be dope. 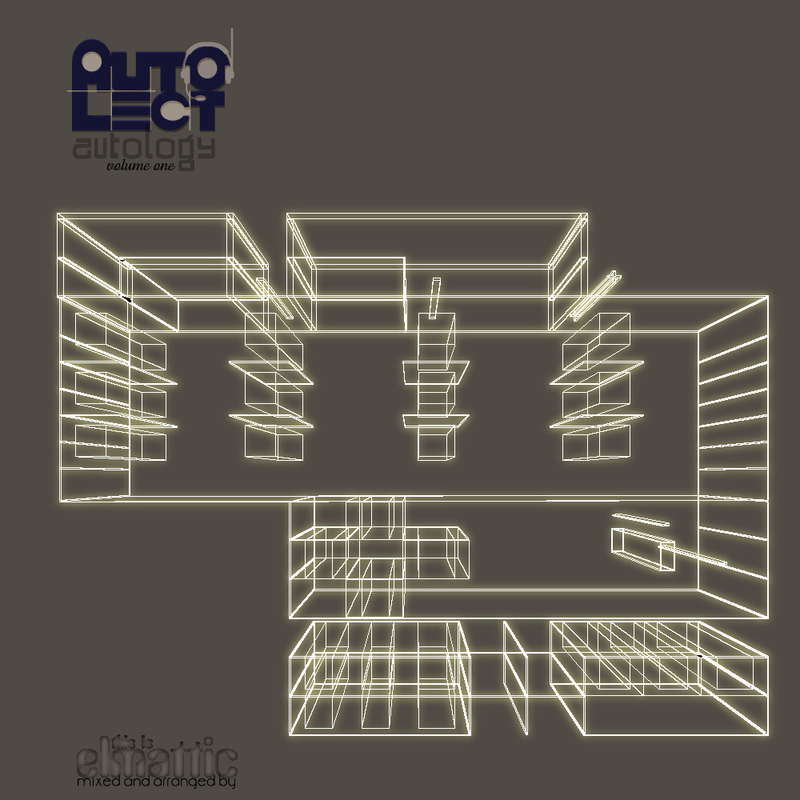 Autology both celebrates and closes the books on the Autolect era. What you got here is 13 of his greatest tracks with some interview snippets which give you a little taste of his larger thought. Soon enough we're gonna drop a Volume Two to give a full flavor of his instrumental productions, but for now, sit back and marinate in this. Then pick your jaw up off the floor and hit his Bandcamp. Welcome to Autolect.